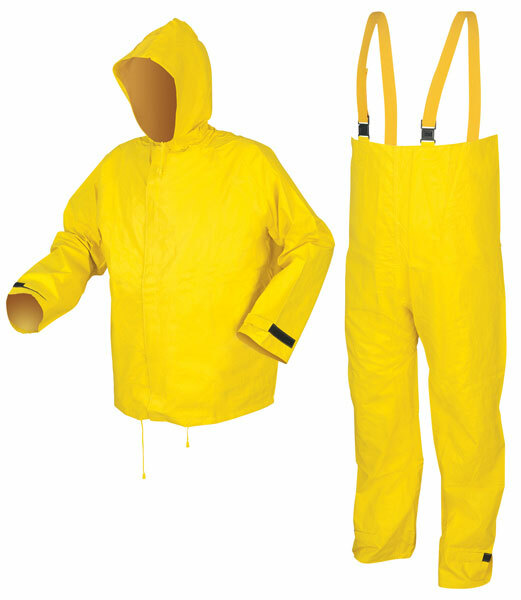 The Hydroblast suits are filled with features that keep you dry in high pressure spraying applications or in driving windblown rain. The 8402 features a jacket with hook and loop closures on the front, wrists and neck. Other features include attached drawstring hood and drawstring waist. Overall pants feature full elastic suspenders, hook and loop closures on the ankles, and a plain front (no fly). Limited flammability, NOT intended for use as protection against ARC Flash or Flash Fire. For more information on Limited Flammability, Click Here.